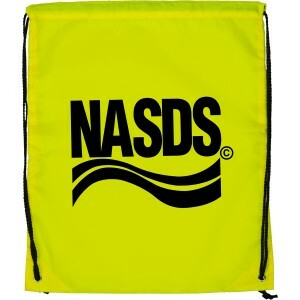 Why are marketers going crazy about these custom printed large polyester drawstring backpack? Because they have realized that is one thing, which brings them easy recognition and serves the longer than other promotional tokens. This backpack is offered in vibrant and eyeball grabbing colors, which means there are no spared chances of a person missing your information imprinted on them. 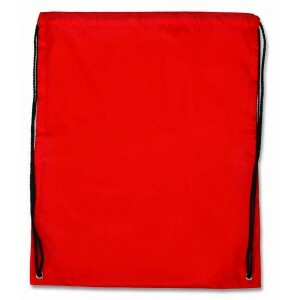 It makes a perfect handout during promotional events, where kids, outdoorsy people and youth are present and marketers can start collecting their accolades soon after gifting! 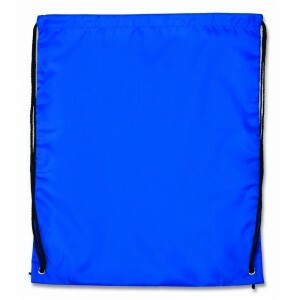 Request a quote to know wholesale price savings that you can avail on ordering these personalized large polyester drawstring backpack in bulk. 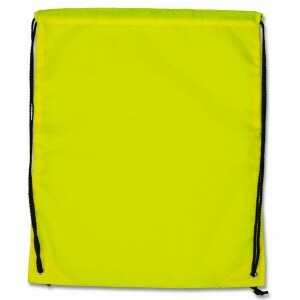 Features – Made of 210D Polyester with PVC coating. Stitched seams. Tear resistant and water repellent. Bottom corners reinforced with grommets. 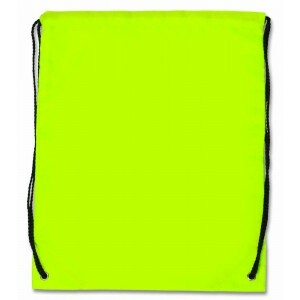 Available colors- Black, Lime Green, Red, Blue and Yellow. 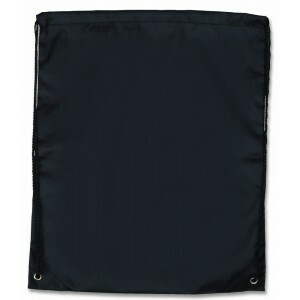 Item Size - 15" W x 18" H.
Imprint Area- 10" W x 10" H.
* Price includes a one color, one position imprint.